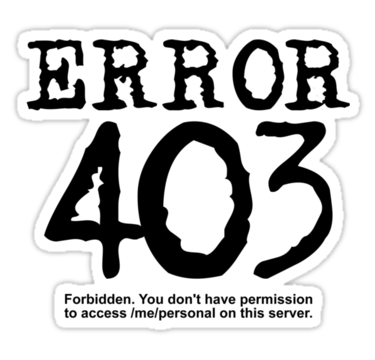 403 Forbidden — a server-side error, indicating that access to the resource or its fragment forbidden by the web server configuration. File .htaccess, including the conditions for the folder in which it is placed. For example, the rule Deny from All will give a complete prohibition of access to the contents of the required directory. When the user clicks he will be denied access and showing a 403 error. Error can occur at the fault site and the fault of the proxy server, for example, in a corporate network. The site administrator should verify the correctness of the file .htaccess and, if necessary, correct the file. Correct rights to the folder containing the target file. To go through open or closed proxy server or using a different browser, change IP address.